Andrade showed he was just a class above Akavov in this outing. 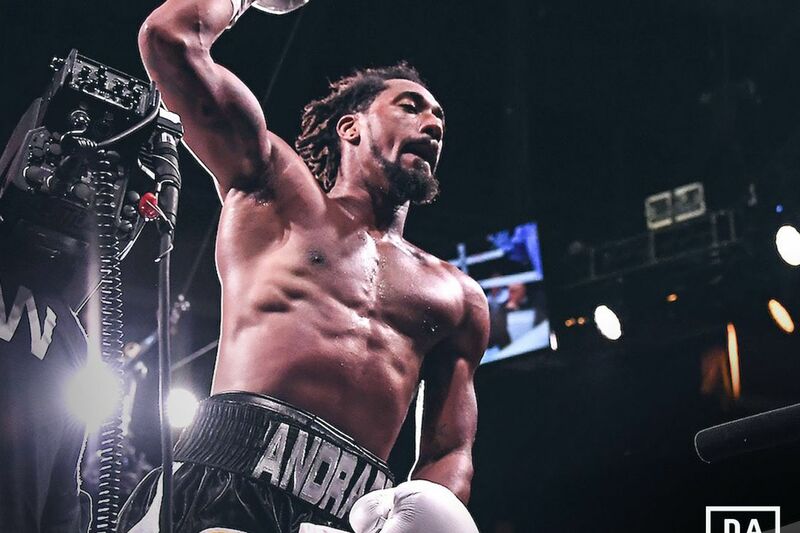 Demetrius Andrade put on a boxing clinic in tonight’s DAZN main event, completely dominating Artur Akavov over 12 rounds before the referee eventually saw enough and stepped in to stop the fight shortly before the final bell. Andrade got out to a fast start, using an educated jab to befuddle Akavov from distance and then following that up with a lot of left hand power shots to the head and body. As the fight progressed Akavov just really found no answer to Andrade’s attack, and couldn’t close the distance often enough to mount his own offense. By the mid-rounds it looked to me like Akavov was in survival mode, unable to cope with Andrade’s skill. At the end of the 11th round the referee went to Akavov’s corner to warn him that he didn’t want to see him take too much more punishment, with him clearly losing nearly every round by a solid margin. Then after a few shots from Andrade in the 12th, the referee halted the fight, while Akavov was livid over the decision. But the final scorecards showed how dominant Andrade was, with Akavov winning only one round across three official scorecards. Final CompuBox stats had Andrade landing 181 of 865 total punches (20.9%) while Akavov landed only 40 of 263 total punches (15.6%). In the post-fight interview Andrade says he put on a boxing masterpiece with his jab, which he really did, and said if you put Gennady Golovkin in front of him that he will destroy him. Andrade also said he’s no longer interested in Billy Joe Saunders, whom he called unprofessional for failing a drug test for their last scheduled fight. With the win Andrade (27-0, 17 KOs) successfully defends his WBO middleweight title while Akavov (19-3, 8 KOs) goes back to the drawing board.